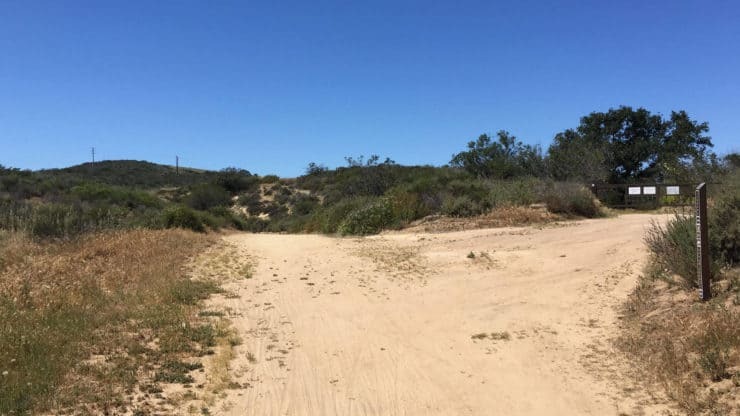 All 7000 acres and 40 miles of trails at Laguna Coast Wilderness Park are part of the Natural Community Conservation Planning program. The state program works with county and local governments to protect land with fragile ecosystems and endangered species. 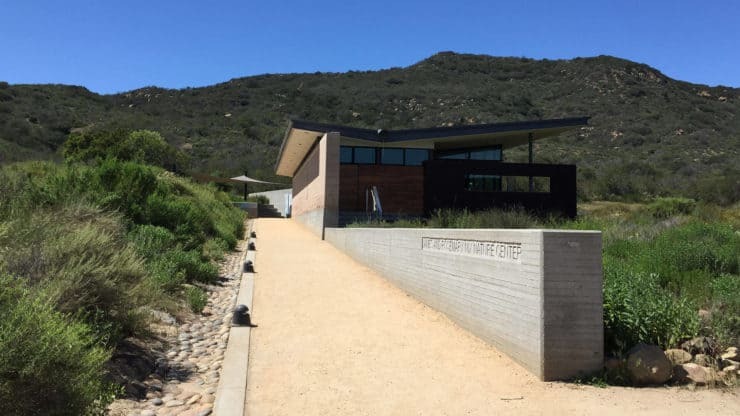 You can learn more about all abundant plants and animals when you start he hike at the Nix Nature Center, which has volunteers and interpretive displays, and lists of recent wildlife sightings. 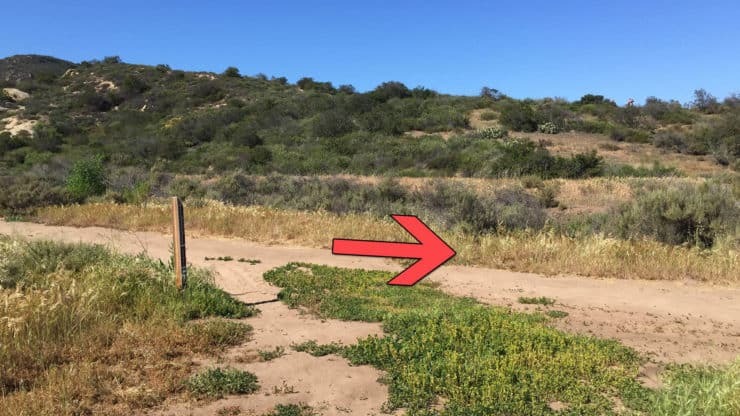 Where is Laguna Coast Wilderness Park? 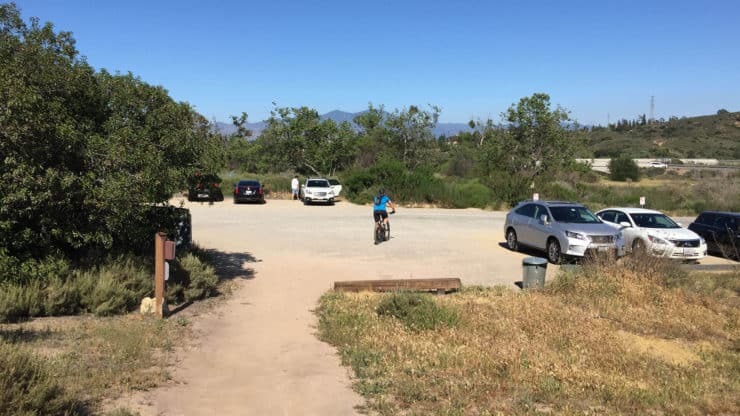 Use this trailhead address: 18751 Laguna Canyon Rd, Laguna Beach, CA, 92651, USA. 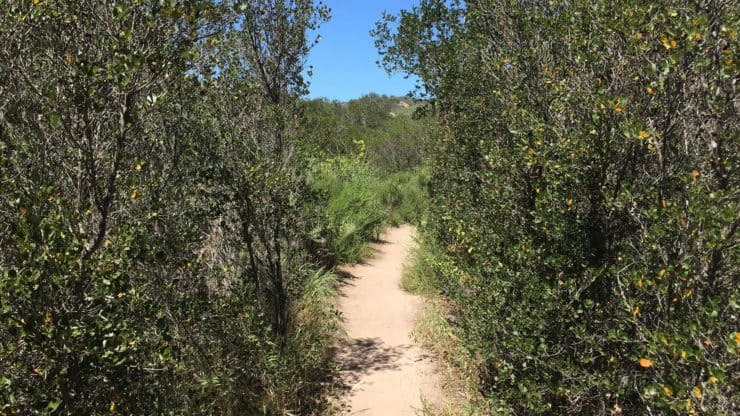 Laguna Coast Wilderness Park is open from 8am to 5pm. The parking lot usually fills up by 9am on weekends, and they will close the lot if it’s full. Pay for parking at the machine and leave the ticket on your dashboard. 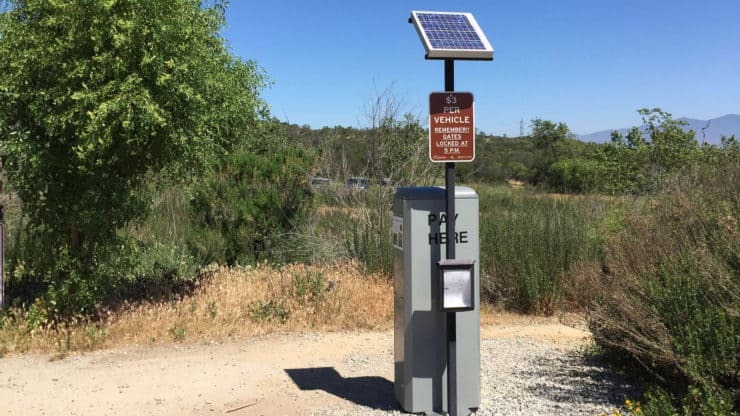 Pay for Laguna Coast Wilderness Park parking at the pay station with cash, credit card, or OC Parks pass, and put the receipt on your windshield. 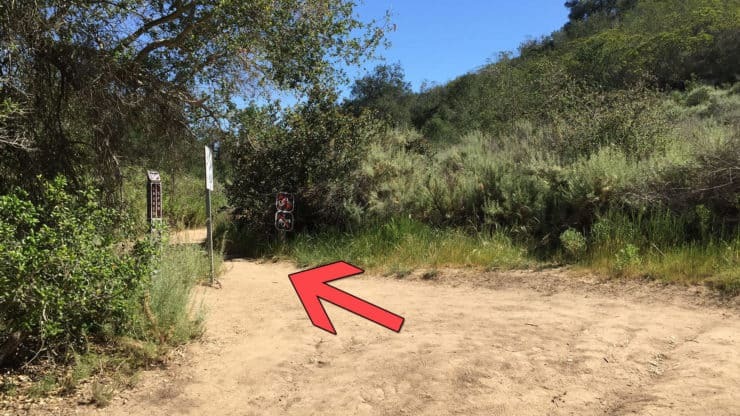 The Nix Nature Center, located at the end of the parking lot, has free trail maps, bathrooms, and a place to fill up on water. Stop by, sign the registry (mandatory), and take a look at the wildlife spotting board. Even if there’s no endangered species around when you visit, there will probably be plenty of hawks, mule deer, weasels, and falcons. 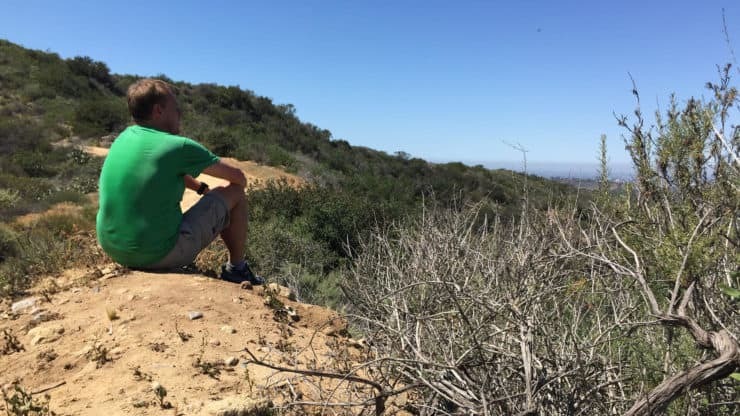 While you can get away with fitness clothes, I do recommend wearing hiking gear. It’s a long-ish hike and it can get very hot during the day. Bring plenty of water. 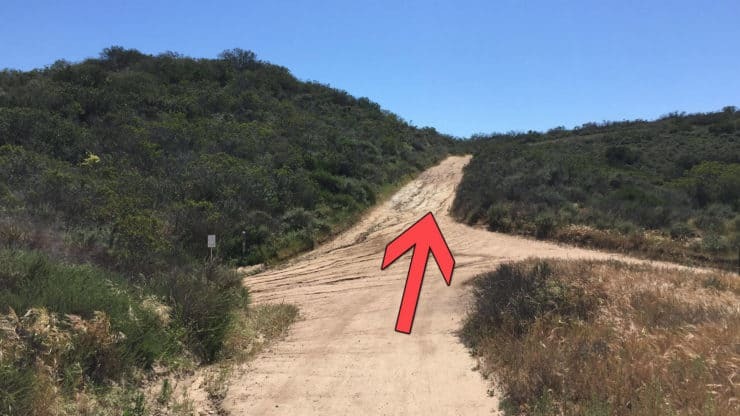 There other hiking trails in Laguna Coast Wilderness Park. If you want a shorter (or longer) hike, the rangers in Nix Nature Center can help you out. They’re great at putting hikes together to suit your parameters. 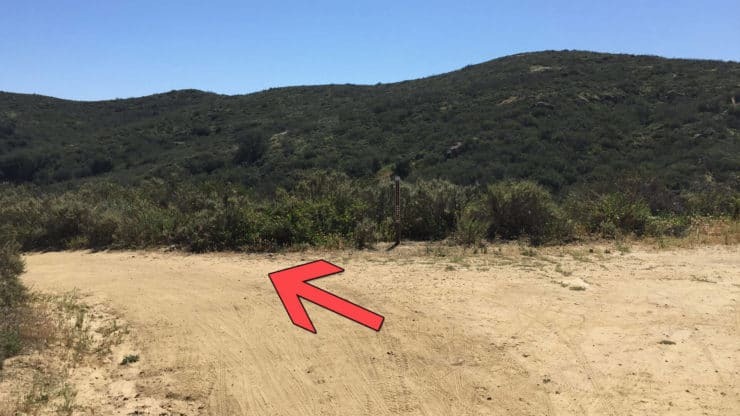 And the trails on the Laguna Coast Wilderness Park hike are shared with mountain bikers and horses. Give them a wide berth and let them pass. 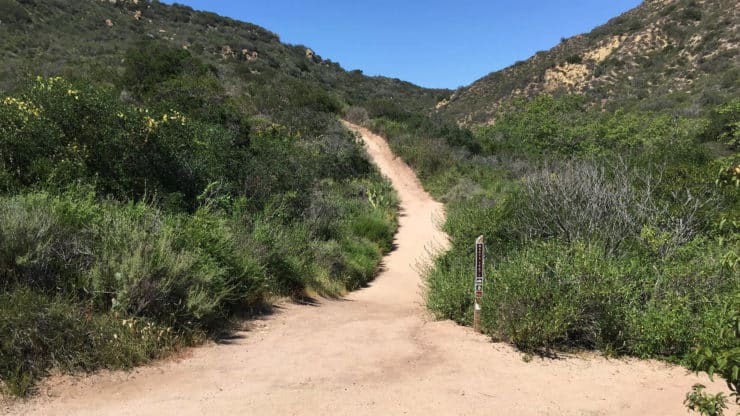 The hike does a loop around Laguna Coast Wilderness Park, hitting the best viewpoints and picturesque laurel canyon. The two big hills are at the beginning and end. After that, it’s a lot of small up and down. Before you start hiking, head into the Nix Nature Center to sign the trail register (mandatory). Hike up the big, main trail from the Nix Nature Center. Keep left at the beginning of the hike on the Little Sycamore trail. The trail quickly goes uphill, take your time. There are some flat sections of trail to catch your breath, but you’ll hike uphill again to the ridge. At about 1 mile, you reach the top of the ridge. 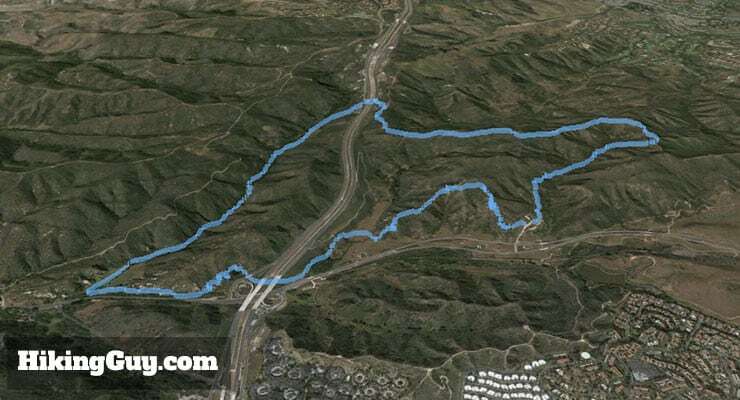 Hike left onto Serrano Ridge trail. 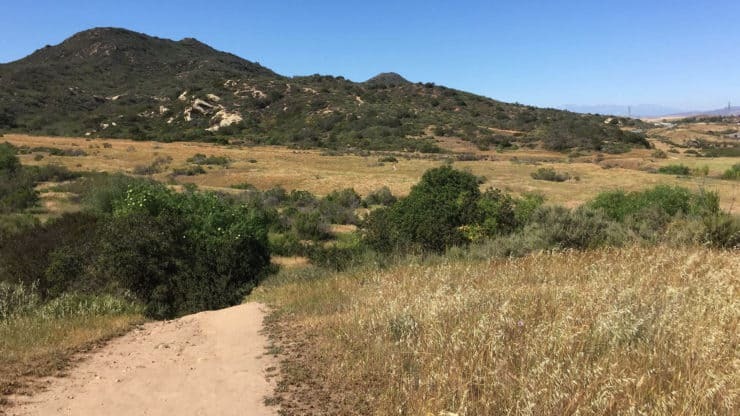 Soak in the best views at Laguna Coast Wilderness Park . On a clear day, you’ll be able to see Mt Baldy and the big mountains. 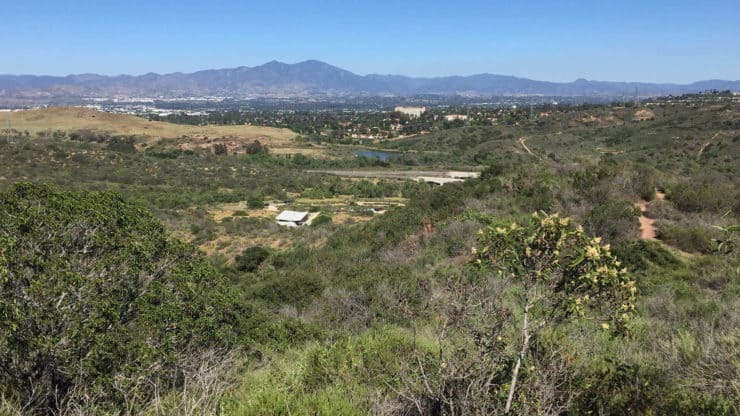 Keep hiking on Serrano Ridge trail. 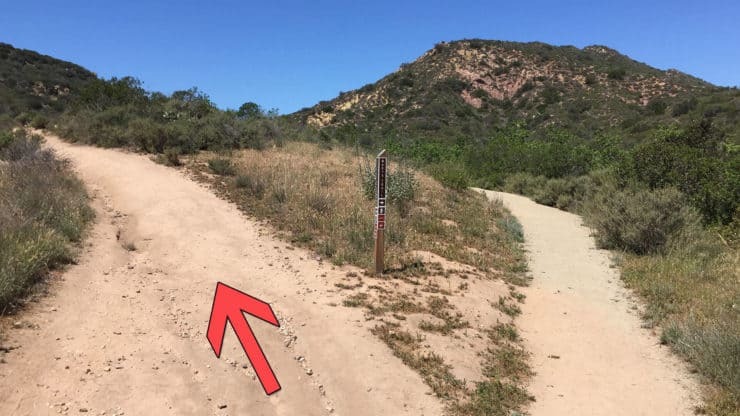 At about 2.4 miles, hike straight through the trail intersection. At 2.7 miles, keep left, staying on the trail along the highway. 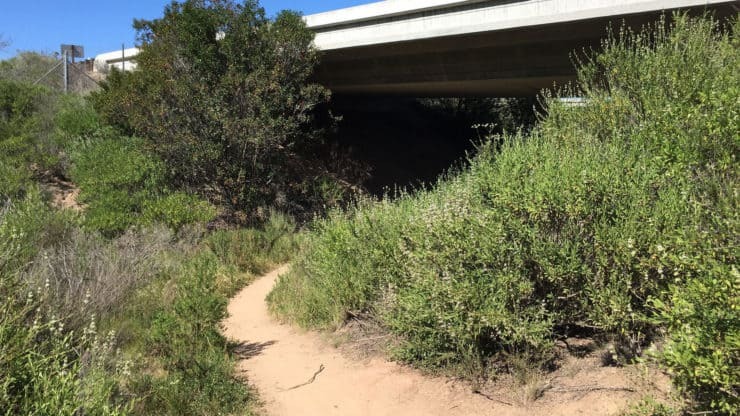 The trail goes under the highway (73). Just before 3 miles, the trail ends in a “T” after the highway underpass. Hike to the left at the fork. Enjoy the gentle downhill on the Upper Laurel trail. At about 3.5 miles hike left onto the (smaller) Laurel Canyon trail. 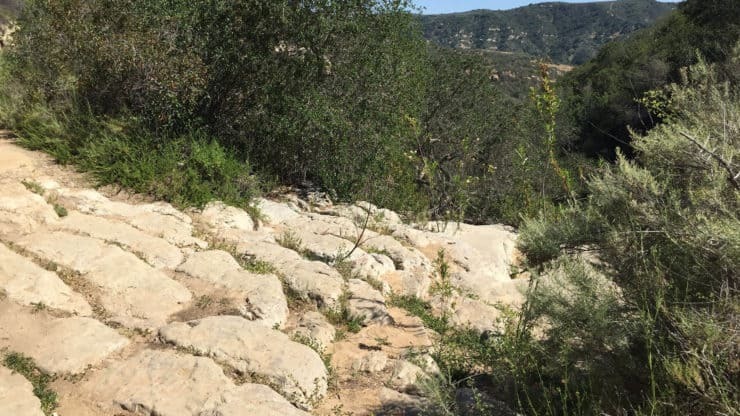 At about 3.8 miles, there will be a series of rock steps to the right of the trail leading to a cliff. It’s a good place to stop for a snack. 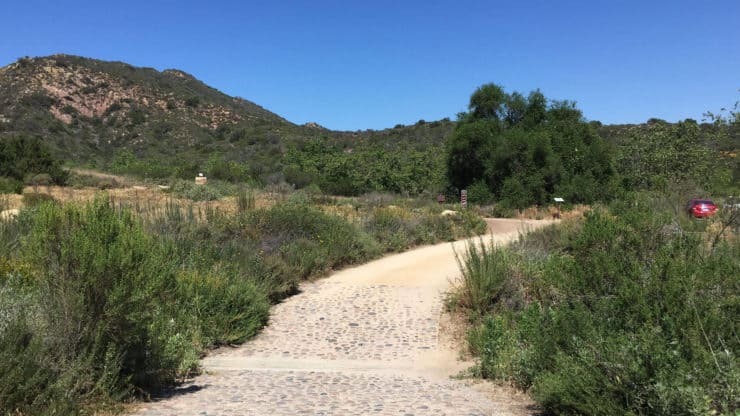 Continue down the shady trail, and at about 4.6 miles, hike the left onto the Stagecoach South trail. You hike back under the highway. Continue hiking across an open area. 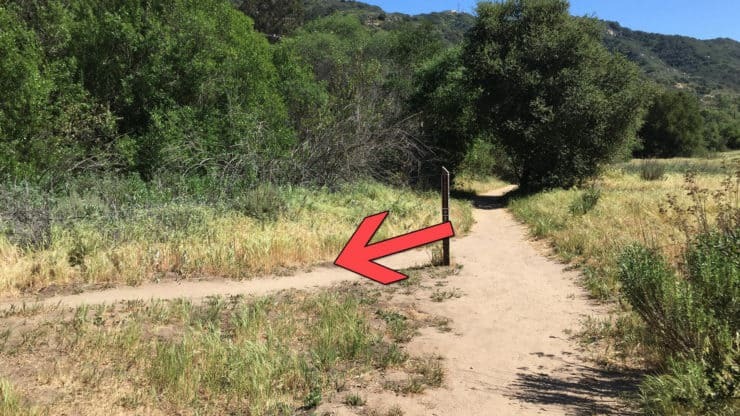 The trail is well defined here. 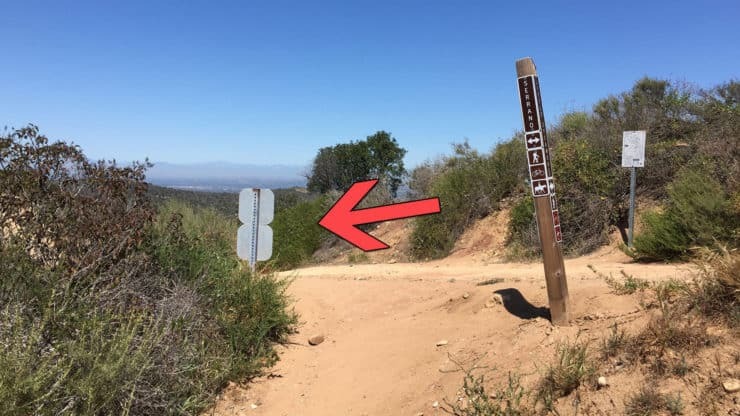 At about 6.1 miles, hike the right to stay on the Stagecoach South Trail. Keep hiking until the trail starts climbing again. After you hike to the top of the climb, you’ll see the Nix Nature Center below. 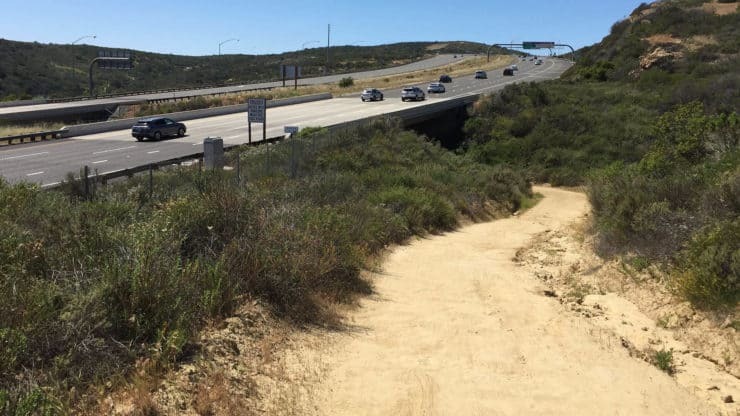 And about 7.5 miles later, the trail ends where you started at the Laguna Coast Wilderness Park parking lot.